This had to provide four channels of audio to the hide itself and then a further two channels of short samples to the sample board outside the hide. The main hide received twin stereo from music players mounted on Arduinos and the samples were provided from the two sample players. Three stereo D class 20 W amps provided the sound for the speakers. The whole lot was driven by a 12v Caravan battery as there was no mains power available. 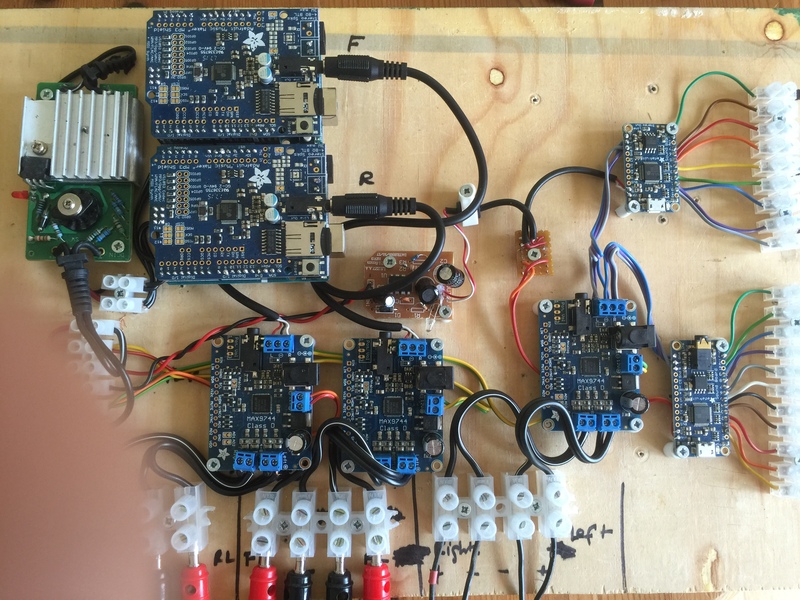 This was regulated to 9v and 5v for the Arduinos and the sample boards respectively.